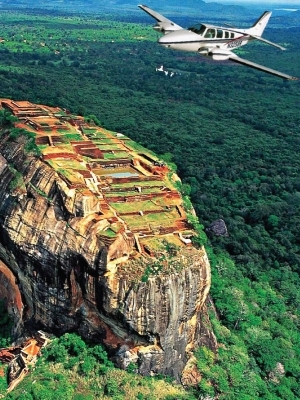 Welcome to Fly Sri Lanka!. 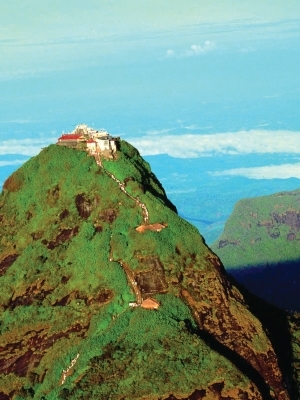 Your one-stop shop for inland air transfers, charter flights and air travel packages in Sri Lanka. 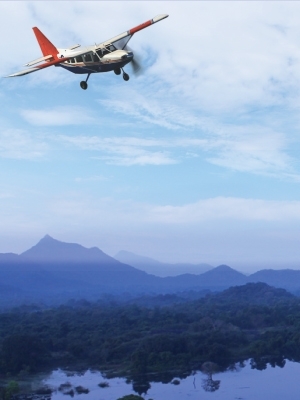 We offer secure, reliable and cost-efficient inland flight transfers that best suit your individual needs. 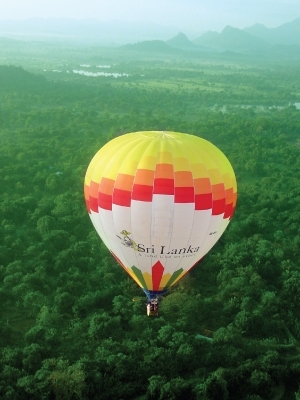 With over ten years of experience under our belt, and a diverse clientele ranging from tourists, NGOs, VIPs, to celebrities & film crews, we are without a doubt the number one provider of fixed schedule air transfers and chartered flights in Sri Lanka. 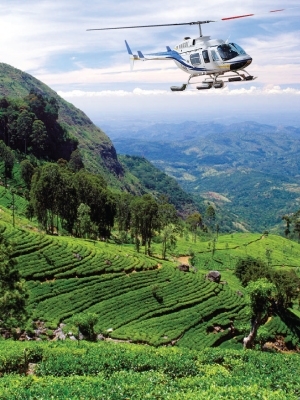 Without fly Sri Lanka, inland air travel has never been this easy. 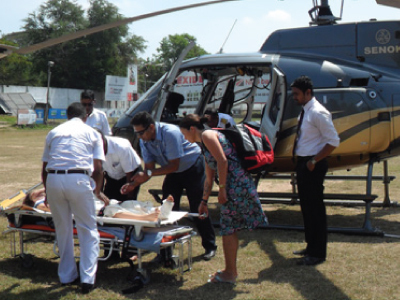 We offer a comprehensive service in emergency medical evacuation in Sri Lanka. 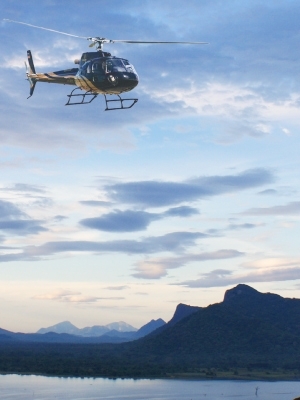 Other than offering just the air transfer, our services include transporting the patient from the accident venue to the helicopter take- off point and from the landing point to the hospital as well. "We coordinate with the closest and best medical care available and make sure that the patient is offered the best care!" Birds are not the only Flyers !! 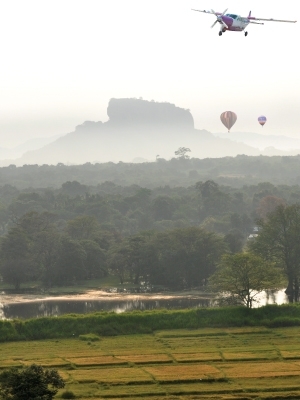 Paramotoring is the newest and latest development in ultra light foot-launched air sports in Sri Lanka. 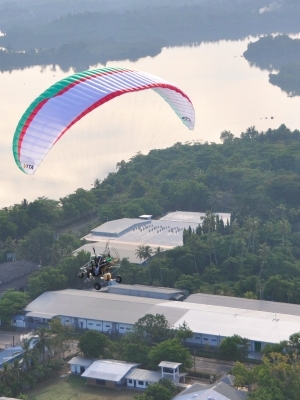 This is an exhilarating yet simple way to aviate, also being the easiest powered aircraft you can learn to fly. 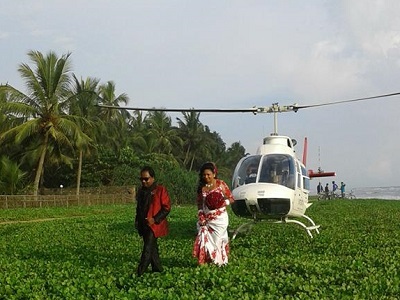 Chose a peculiar way of arriving at/ departing from your special event venue. Celebrate your Wedding, Pre-shoot, Puberty Ceremony, Birthday, Anniversary, Surprise event or any other special occasion in style. Book one of our air-conditioned helicopter with comfy seating to make your day more colorful with an added WOW to your event .. !!. 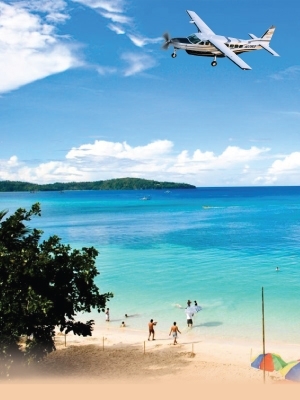 Fly through the air and see your loved ones - well-wishers from above. Make your event memorable to all attendees and be the topic of all. 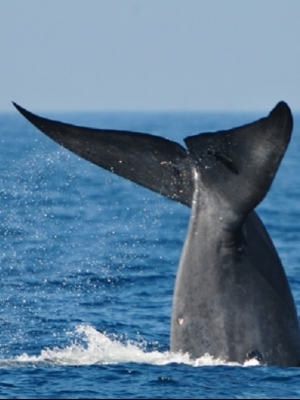 Our well-experienced crew will ensure the safety and comfort of your trip without a hitch. 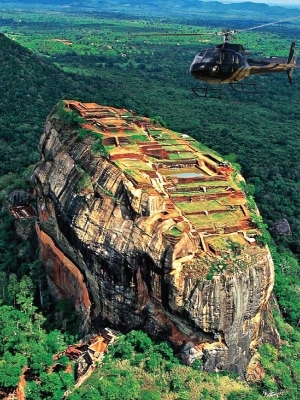 *** We operate only during daytime due to safety concerns. © 2017 Fly Lanka(Pvt) Ltd. All Rights Reserved.